Our lovely Mary turned ten a while back and had a tea party with her friends to celebrate. She had never had a friend party before so we sat down and thought of party venues such as a park, bowling alley, ice skating rink and the like. Ultimately, we chose a local tea house to which we'd never been but had heard great things about. The girls and I drink tea daily and we were excited to go to an authentic tea house. Mary invited her closest friends and her sister Anne. We were all delighted to get dressed up for the special occasion. Mary is becoming such a beautiful young lady. 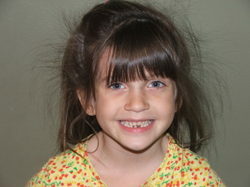 She has a big, generous heart and is adored by her little sisters who love to play with her. She has a great imagination and has a knack for making things beautiful. I'm so grateful to have her joyful spirit in our home and family. you are kind and funny, brave and strong. you have a way of making everything beautiful. happy birthday to my eldest daughter and dear friend.